The University of Southampton is a truly international university with a global reputation for leading-edge research and innovation. 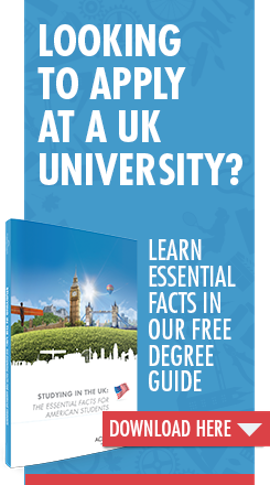 Part of the exclusive Russell Group, often likened to the UK equivalent of the Ivy League, the University of Southampton has been consistently rated in top 15 research universities in the UK and was ranked 14th in the Complete University Guide 2016. Southampton is one of few UK universities to be ranked among the top 100 in the world. With 6,500 international students from 130 countries, the university offers a friendly, welcoming and multicultural environment in which to live and learn. Study at Southampton and you will be taught in small groups by leading academics and active researchers that are at the very forefront of their field. Our students study in a thriving academic community, where independent thought and challenging ideas is encouraged. University of Southampton offers strengths across a wide range of academic disciplines including Humanities, Social Sciences, Engineering, Sciences and Medicine. Outstanding areas of note include the Optoelectronics Research Centre, the Web Science Institute, the Institute for Sound and Vibration Research, the Parkes Institute for Jewish/Non-Jewish Relations, the Portus Project (Maritime Archaeology) and the National Oceanography Centre Southampton. We pride ourselves on our collaborations with business and industry and encourage our students to be entrepreneurial and take advantage of these links. Southampton is one of 5 UK universities to be part of SETSquared, the biggest business incubator in the world created to support students with high-tech start-ups. We have also been ranked within the top three Universities in the world for the quality of our ‘spin-out companies’, with three floated on the stock market. Located on the south coast of England and just over one hour from London, the city of Southampton has one of the warmest climates in the UK. Famous for the sailing of the Titanic in 1912, Southampton is surrounded by places of historical interest, such as Winchester, Stonehenge and Salisbury, which provided inspiration for the novels of Jane Austen. Southampton has excellent transport links to the UK and European cities via train, car, coach, ferry and plane. This friendly and safe maritime English city has about 240,000 residents and offers some of the finest theater, music and film venues as well as a thriving independent café and bar scene. Southampton is a fantastic option for students who want a smaller, community-oriented city but who always want to be within close reach of London. Southampton also provides numerous opportunities to get become a member of sports clubs or simply practice sailing, windsurfing and diving. Southampton is made up of six different campuses located across Southampton and Winchester, as well as the recently formed University of Southampton Malaysian Campus in EduCity at Iskandar. The Southampton campuses are all linked by the university’s UniLink bus service, which is free for all students who are living in the Halls of Residence. The university welcomes applications from the USA, and their dedicated International Office team regularly travel to North America to meet with prospective students. Currently there are around 80 students from the USA enrolled on a wide range of degree programs We have a North American Society which hosts a number of social events throughout the year to bring together our North American community and we run a Southampton Welcome program designed to introduce our new international students to the university and to the City of Southampton. The ‘Meet and Greet’ service is run free of charge to collect students at London Heathrow Airport and bring them to their university residence. Please contact one of our UK Study Experts to find out more about studying at the University of Southampton. Across the Pond is excited to celebrate the achievements of several of our partners who have been shortlisted in the 2018 Higher Education Awards by the Times in the below categories. We're rooting for all of them! Are you applying to Royal Holloway University of London or University of Southampton? Both schools have recently announced substantial awards for the 2016-2017 enrolment year, ranging from £3,000-£10,000 at the undergraduate level and from £5,000-£21,000 at the postgraduate level. Email your advisor to get details! If you don't currently have an advisor, don't worry! Get in touch with us and one of our student advisors will contact you to offer assistance with your applications and other details. Why did you choose to study at the University of Southampton? It was placed well on an international scale and had multiple accommodation choices. It’s also in a safe area and has a lively student life. I love how close Southampton is to London and the sea. It is easy to get to the beach or water from here.